The shooting at YouTube’s headquarters is putting workplace safety on everyone’s mind. But many California employees may have never had training on what to do if someone with a gun enters their buildings. Most workplaces across the state aren’t required to conduct active shooting training for employees, but the Investigative Unit has learned that could soon change under a new proposal from Cal OSHA. Investigative Reporter Liz Wagner reports in a story that aired on April 4, 2018. The shooting at YouTube’s headquarters in San Bruno Tuesday has workplace safety on everyone’s mind. Around 16,000 Americans were victims of workplace violence and the number of those killed at work is on the rise, according to the most recent statistics from the U.S. Department of Labor’s Bureau of Labor Statistics. But many people may never have had training on what to do if someone with a gun enters their worksites. That’s because right now most workplaces in California aren’t required to conduct active shooter training. The NBC Bay Area Investigative Unit found that could soon change under a new proposal from Cal OSHA. The administration is drafting a regulation requiring California workplaces to develop plans to address violence in the workplace. Officials say it’s the first OSHA regulation in the country that would specifically require employers to provide active shooter training to employees. “It’s an important issue and it deserves and needs regulation to address it,” said Eric Berg, Cal OSHA’s Deputy Chief of Research and Standards. Berg says exactly what the training entails would be up to each employer. According to the draft regulations, each employer would be required to keep the plans in writing and make them available to employees. And while employers won’t be required to submit their plans to the state, Berg says the requirement will force companies to come up with critical policies and protocols. Cal OSHA started developing the new regulations back in 2014 in response to a petition from a teacher who was concerned about violence on the job. Administration officials say they’re at least a year away from finalizing the rules. 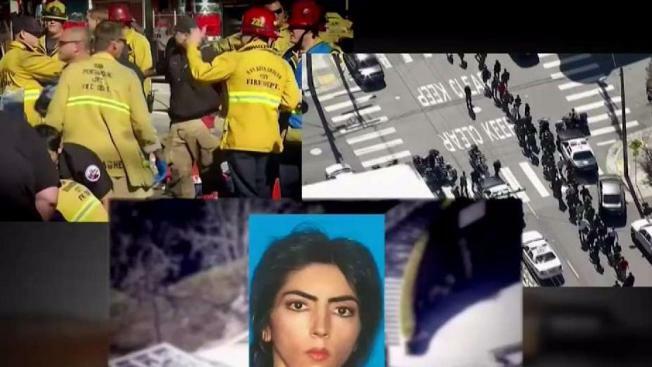 Last year, Cal OSHA began requiring California hospitals and health care sites to develop evacuation and sheltering plans in response to active shooters. When it comes to schools, the California Department of Education says there is no statewide protocol right now about how to respond to mass casualty situations. The department says that’s up to local education agencies.